Keeping staff, premises and company property safe and secure is an essential requirement of any business. Your security officer is the most visible element of your security facility and is likely to be the first point of contact for clients when visiting your company. 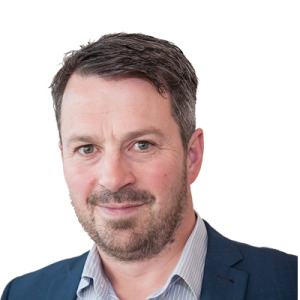 Carl Palmer, Executive Chairman of CIS Security explains why the customer experience offered by a security company really matters. The security industry is undergoing an exciting phase of renaissance. 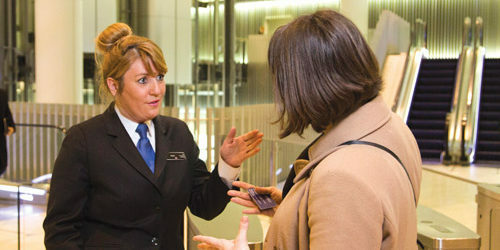 Looking at the privilege that front of house security staff hold as the custodians of the building experience, it becomes clear that officers are a key touchpoint in the customer journey in most organisations. Often the first person a customer or employee will meet as they walk in the building, and loaded with a split second performance opportunity to display a number of key indicators the person they are engaging will use to decide things like the quality of the institution, how they treat their staff, how safe the building is and how they will be valued as a visitor. At CIS, we recognised that there was a huge opportunity to stand out from peers by developing our customer experience to an outstanding level. The rationale for change was clear – investing in the customer experience will improve our business and our clients’ businesses. Our clients tell us that happy staff are more productive and visitors who feel welcome and attended to will come back and do more business with them in the future. Security and front of house personnel can be empowered to help in new ways to be seen as a ‘force for good’ through the eyes of those we serve. Some time ago, we set ourselves the challenge of raising the customer service standards, adding further value through innovation, to ensure what was being offered was a truly professional service with a culture of continuous improvement that makes end users notice the security team for all of the right reasons. Gone are the days of a security officer being seen and not heard. We encourage positive engagement in our staff through a number of internal initiatives aimed at raising confidence levels and bringing out personality. This goes hand in hand with a specially devised customer service training programme akin to a five-star hotel. This customer-centred approach has the elegant, yet far reaching ripple affect of impacting positively on security perceptions. Proactive efforts toward improved customer experience in Guarding Security is one of the best tools we have for deterring crime and terrorism at client premises. In order to do this we sent out a mission statement and made all stakeholders aware of our objectives. Our aim is to deliver enhanced customer service for our clients and end users in order to position CIS as the sector leader in customer experience with a security focus. We traced visitor journeys to identify areas where security personnel can make a difference. We ended up with a robust customer service culture plan which was implemented from board level outwards. Staff told us that they appreciated the investment we were making in them and gained confidence in sharing ideas on how they can make a difference in their roles. At the heart of every successful business partnership there is a great working relationship built upon mutual respect, honesty and openness and regular and clear communication is a key part of our approach. We have flexed our methods as we progress through the information age, a time when the opportunities we can create for our customers become greater. Outstanding customer experience is the keystone of our aspirations for the security function, built upon a bedrock of rich staff engagement. CIS has responsibility for security at a number of world renowned cultural locations in the UK. From art galleries to landmark universities, from luxury fashion stores to high level creative technology hubs. CIS has a reputation for retention and Carl Palmer puts much of this down to the rich engagement delivered on site. Recently CIS and clients worked together to create the first ever security focused end user survey, designed to gauge the experience of the end users. The survey was taken directly to people served by the security team on tablets and on smartphones, allowing them to provide feedback in real-time in the location where they are approached, rather than after their visit or out of context.